The perfect accent piece for a Parisian themed room! 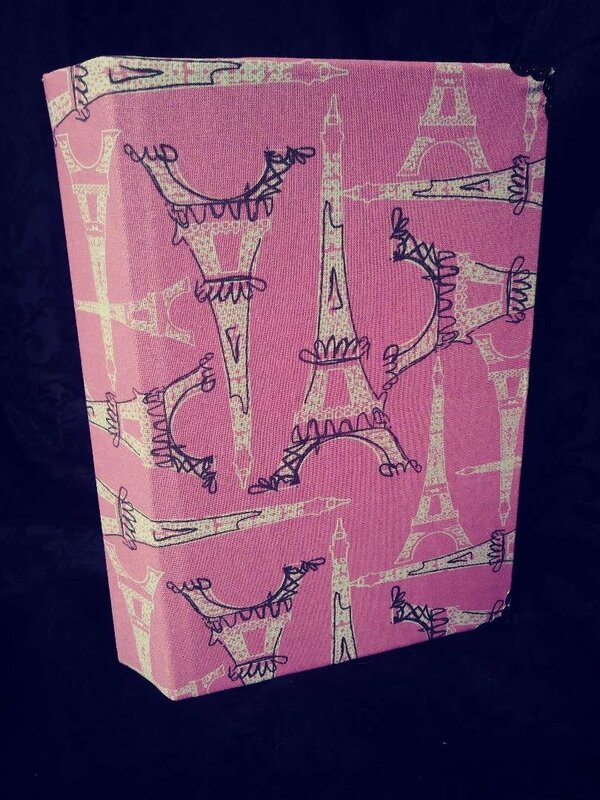 Paris in Pink with fabric depicting the Eiffel Tower. 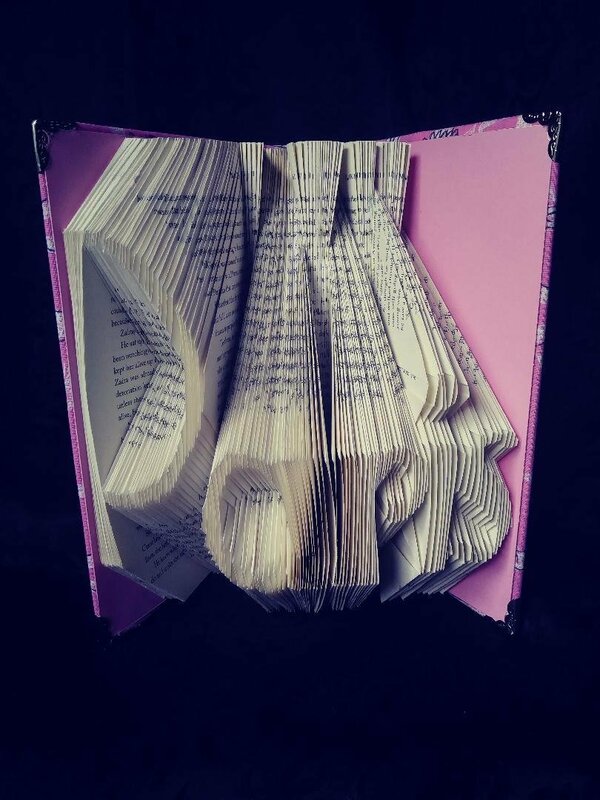 This book measures 9 1/2" tall, by 6 1/2" in depth & approximately 9 1/2" in width. We also have a Paris book with Blue/Brown tones in stock.